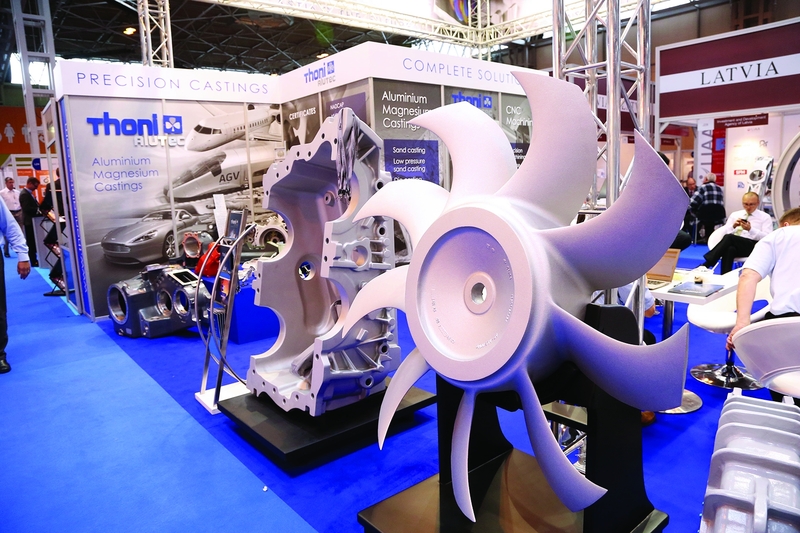 Subcon, which runs from 6 to 8 June at the NEC, Birmingham, is the UK’s only event dedicated to outsourced manufacturing. It serves all sectors and all processes – from machining, sheet metalworking, casting and forging, to plastic moulding, composites and electronics. This range of manufacturing technologies is reflected in some of the new services and investments being featured at the show. In fabrication, WEC Group has invested over £11m in equipment and facilities over the last 18 months as the basis for its expansion nationwide, while multi-metal stockholder Kloeckner has just added advanced bending and additional laser cutting capacity to its services. Precision machining specialist PGT Ceewrite has also invested £11m to completely upgrade its Dorset facility and double its capacity for highly complex wire and spark erosion. The machining services sector is strongly represented across the show. New services coming on stream include a subcontract CNC cylindrical grinding facility at Perfect Bore and new large-format, heavy-duty machining centres at PRV. PRV has also added a new 5-axis water-jet cutting machine. Following heavy investment in new technology, specialist subcontract engineering company Mini Gears Group expanded its services so that precision machining accounts for 60 per cent of the business and it will be showcasing its complete new range of machined components at Subcon. In plastics, a five-year multi-million investment programme at Chess Plastics is nearing completion with the installation of another new Negri Bossi moulder and Meadex has just completed a new clean room suite for plastic and rubber moulding. Hepworth Group has launched a new RIM Moulding Division, which adds an additional manufacturing option to its extensive range of fabrication services. In other processes, Carlton Die Castings have installed a twin-pallet Mazak machining centre that allows them to supply fully machined castings ready for assembly. Materials coatings expert NikaWorks has developed a new series of functional coatings for surgical instruments. Supporting the Subcon show, sourcing specialist Qimtek is sponsoring the VIP Buyer’s Programme and hosting a dedicated Qimtek UK Manufacturing Pavilion. Subcon runs alongside the Advanced Manufacturing Show and The Engineer Design & Innovation Show from 6 to 8 June 2017 at the NEC Birmingham. Together the three shows cover the complete manufacturing cycle from concept to component, bringing together design engineering, product development, in-house production and outsourced supply chains. Over 500 exhibitors will welcome thousands of professional visitors who have current sourcing needs for equipment, software and manufacturing services. The three shows are complemented by 36 free-to-attend conference presentations in two separate conference streams, bought to you by The Engineer and The Manufacturer.